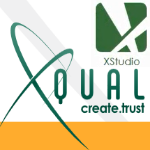 XQual delivers XStudio, a leading test management/ALM solution that handles the complete life-cycle of your projects. XStudio includes modules to manage releases, requirements/specifications, tests and bugs. It allows scheduling/running fully automated or manual test campaigns and comes with an integrated bug-tracking database but can also integrate with Jira, Mantis, Bugzilla or TRAC. XStudio also provides outstanding tools to measure testing execution progress, coverage (i.e. traceability matrix), SUT’s quality as well as the performances of the developers and testers. 15-05-06 - XStudio 2.3 (stable version) is out!